This daily anti-aging moisturizing lotion will improve dry lifeless skin and instantly hydrate skin. 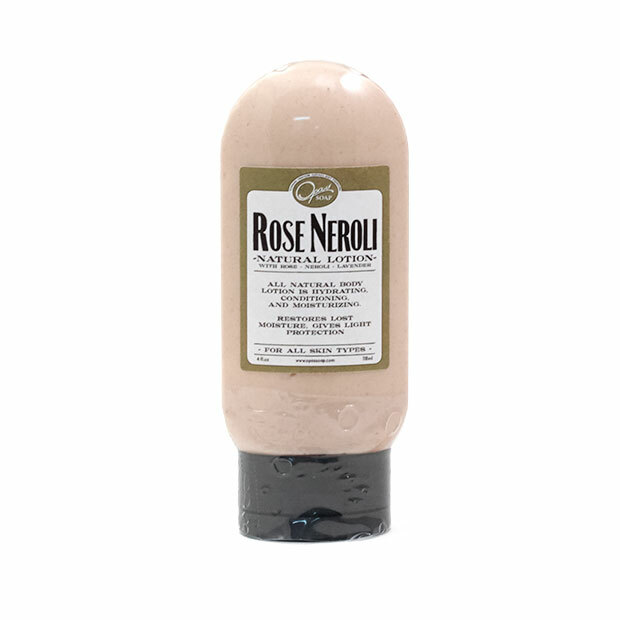 Rose Neroli is a all natural formulated lotion with rose hydrosol and organic extracts such as green tea, white tea, ginkgo biloba, olive leaf, and roobios tea. Antioxidants such as organic tea extracts have been shown to slow the process of aging and protect the skin against free-radicals. Rose has a harmonizing affect upon the skin including the ability to influence the skins pH to become more balanced. The smell of Rose immediately works as an antidepressant and eases the nerves. Rose calms the skin including flare ups and irritation with skin conditions such as eczema or psoriasis. This formulation is great for acne and sensitive skin. Rose Neroli Lotion is designed to give a natural glow while hydrating skin. 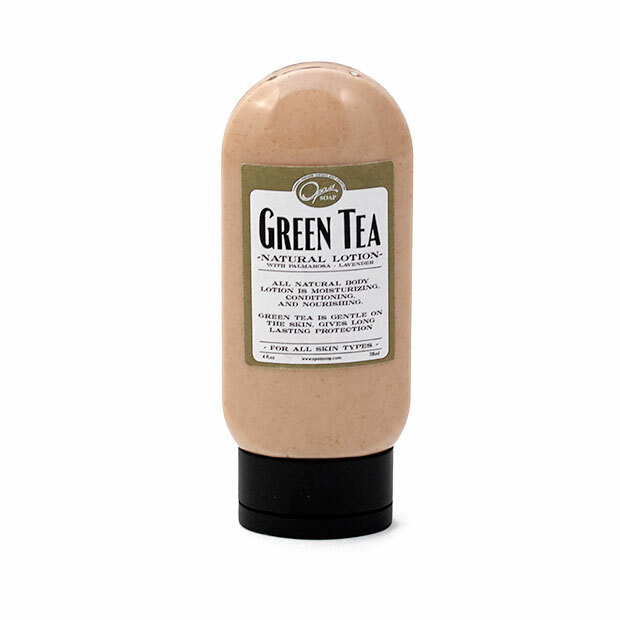 it has the ability to infuse moisture back into the skin helping to heal dry, cracked, and mature skin. Rosewater has been anciently acknowledged for its properties to tighten pores, stimulate the skin and blood flow, balancing sebum production, balancing skin pH, and uplifting the entire being. Wonderful lotion. I have mild eczema and my skin has been reacting to the change in seasons where I live. This lotion soothed my skin and helped repair it. It does not leave my skin greasy or wash away easily either. You also don't need anymore than a small squeeze for the hands. So while it's only 4 oz. it will last at least a month or two. The packaging is convenient as well, I like the cap on the bottom. The fragrance is mild and floral. Love this lotion for my face! Very gentle on my sensitive skin and doesn't cause breakouts. I have an oily nose and chin, but the rest of my face is extremely dry. The Rose Neroli does a good job at moisturizing and balancing oil. I just starting using this lotion and am pleasantly surprised. It is very hydrating without being greasy and I love the fact that I can use it on face or body. The one unexpected element was the scent. Since it's called Rose Neroli and the scent is listed as being "sweet" among other things, I assumed it would smell slightly of rose but in reality, it smells of lavender and definitely is very herbal overall in scent. I know some people don't like lavender (not a huge fan myself) but I am willing to overlook this small factor since it truly is so nourishing! Will buy again. Hi...I am glad that you were both available to answer questions related to your products at Ojai Day wherein I bought a small container of the Rose Neroli lotion. I have had eczema / psoriasis skin condition for the past 1.5 years and no matter what lotions I used, it did not address it as quickly as your product has. I use a little each day and massage it into the dry areas and I've noticed several things: 1) Initially when I applied the lotion, it generated a tingling response (since the Neroli is known to be antiseptic, I figured it was working its magic). 2) It softened the affected areas immediately and I could tell that the inflammation was subsiding as the redness around the dry patches on my scalp were less so. This was by day 2 and 3. 3) I apply the lotion daily (AM and PM) and after I shower and wash my hair too. Your product goes a long way since I used just a little portion to cover these areas on my face and around my scalp line where I have had major issues with flaking/scaling/etc. Thanks again for creating such wonderful items that is truly making an extraordinary difference for me in less than a week of using the lotion! I received this lotion as a gift and wish that it was not out of stock. It's worked wonders on my dry skin without leaving me greasy. A little bit goes a long way!